Have you heard of Selenium? Selenium is an important mineral for making many of the body’s processes work correctly. The National Institutes of Health states that “Selenium is a trace element naturally present in many foods, added to others, and available as a dietary supplement”. It has been used for underactive thyroids, osteoarthritis, hay fever, infertility, cataracts, and preventing miscarriages to name a few. According to WebMd “most of the selenium in the body comes from the diet. 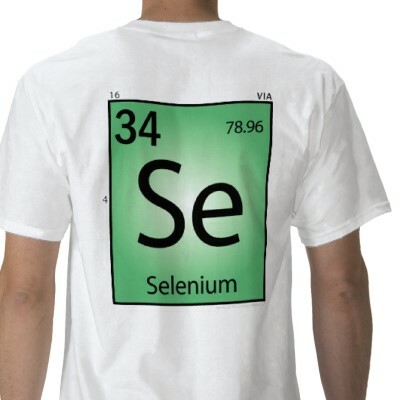 The amount of selenium in food depends on where it is grown or raised”. As a thyroid patient I found it particularly interesting that it’s recommended to take selenium with your normal thyroid hormone dosage to help to control your thyroid levels; it will also improve the mood and general feelings of well-being among thyroid patients. Research has shown that patients who have been diagnosed with skin and lung cancer as well as heart disease, diabetes, and rheumatoid arthritis have also had low levels of selenium. However, there are some opposing reports that indicates Selenium is possibly ineffective. “In fact, some scientific evidence suggests that (cancer patients) taking extra selenium might actually increase the risk of getting another type of skin cancer called squamous cell carcinoma”. Dr. George Schrauzer research has supported the claim that selenium can reduce the risk of certain forms of cancer and that selenium produces anti cancer substances in the human organism. Selenium can be found in our favorite foods. Some food sources of selenium are Tuna, Macaroni, Bread, Oatmeal, Spinach, Milk, Shrimp, Banana, Carrots and Lettuce. The National Institute of Health has indicated that most Americans receive their recommend dosage of Selenium. However, there are some individuals who are at greater risk for having very low levels of selenium which includes people living with HIV and/or undergoing kidney dialysis. The institute also suggests that selenium levels can decline with age. It’s important to get your recommended daily allowance of fruits and vegetables. In addition, you should pay particular attention to those foods that naturally have selenium trace elements. Follow the link below to find out more information about Selenium. This entry was posted on Wednesday, January 15th, 2014 at 10:25 pm and is filed under Uncategorized. You can follow any responses to this entry through the RSS 2.0 feed. You can leave a response, or trackback from your own site.